Patty McCabe-Remmell is our Chief Editor and a retired adjunct professor at the University of South Florida, Tampa, where she taught Freshman Composition I and II for the First Year Composition program, and Professional Writing and Communications for Engineers as part of the English Department’s Professional and Technical Writing team. Patty has over 40 years’ experience as a professional writer in a number of capacities, including technical writer for medical manufacturers such as Johnson & Johnson’s Ortho-Clinical Diagnostics division in Rochester, New York; and ConMed Linvatec, a manufacturer and developer of arthroscopic surgery devices in Largo, Florida. She has also worked in the news industry with Gannett Newspapers in Rochester, New York. Daniel holds a Ph.D. in English, with a specialization in 19th-century British literature, from the University of Florida, and has over ten years of experience teaching and publishing academic writing. His accomplishments attest not only to his familiarity with academic writing, but also to his close attention to detail, self-motivation, and strong work ethic. Daniel is an accomplished writer in the field of English language and literature. Palgrave MacMillan plans to publish his book, Representing Realists in Victorian Literature and Criticism, in the fall of 2016. He also has articles, chapters, and reviews published in scholarly collections and journals, such as Victorians: a Journal of Culture and Literature, The Blackwell Companion to Sensation Fiction, Nineteenth-Century Gender Studies, and Issues in Writing, and has won a grant to attend a National Endowment for Humanities Seminar in July of 2014. Moreover, he has taught introductory, intermediate, and advanced English composition and literature courses at a wide range of colleges and universities. Courses include introduction to college writing, rhetoric and academic research, introduction to literature, the 19th-century British novel, and professional writing, and technical writing. Schools taught at include The University of Florida (Gainesville, FL), Santa Fe College (Gainesville, FL), The University of South Florida (Tampa, FL), Hillsborough Community College (Tampa, FL), and The University of Toledo (Toledo, OH). 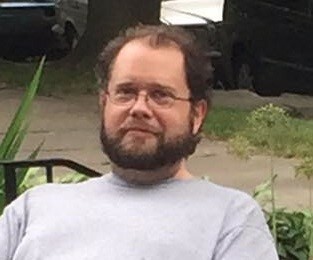 He currently teaches English composition at Oakland Community College in Farmington Hills, MI, works as a metadata editor with ProQuest in Ann Arbor, MI, and volunteers as an editor for the peer-reviewed journal for the Animals and Society Institute, the Society & Animals Journal. Expert at writing and editing financial, economics, and business topics. Also edits and copy writes White papers, Research papers, Corporate Strategy, Fund Architecture, Exotic Financial instruments and analysis, Real Estate Analysis, Venture Capital Pitches, and ICO papers. Julian is the financial, business, and economics expert here at The Write Writing. He has previously consulted for a number of large organisations such as The World Bank, the IFC, and a number of investment banks primarily copy writing and editing their research papers, RFIs, investment appraisals, IPO documentation, research and investment analysis. He specialises in advising, writing and editing for publishers such as Springer. He regularly edits and peer reviews research, PhD, and other papers in Finance, Economics, and Business. He is also experienced in writing Government Strategy and Policy Papers and speeches (clients include the UK Government, Government of Australia, and regional trade organisations in Europe). He is also General Editor of Global Benefits Knowledge SA (https://www.global-benefits-vision.com/), a leading insurance industry publication.